It never ceases to surprise me how little the question of planting design is really understood, or expressed, or articulated. Few since Gertrude Jekyll have really spelt out principles clearly. A few years ago I came across a dissertation at Vienna's University of NAtural REsources and Applied Life Sciences (German 'Bodenkultur' sounds so much more pithy! )* in which the author had read all our books and critiqued us for failing to develop a language of planting design, in particular no agreed terminology. 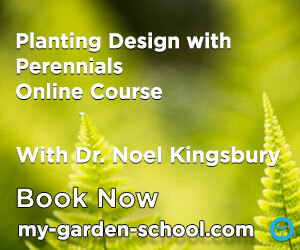 Many in the landscape design, and some in the garden design business may be surprised by this. But such surprise probably indicates that all they do is spray in 'green cement' in great monocultural blocks and leave it at that. Real planting design involves so much more, with a palette which is enormous, each element of which has a will of its own, and will react differently in each location. Makes painting seem a doddle by comparison. As does the Burle Marx approach, which to me now, feels more and more like Victorian bedding meets modernismo. My feeling that we have only just begun to really think seriously about planting design is strengthened by a visit to Piet Oudolf to look at drawings and pictures of recent projects. There was a point at which his public design work seemed like it might just get stuck in the distribution of monocultural blocks over a wide area. 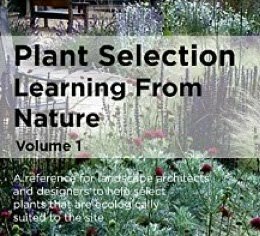 But then he started varying it with scatterings of specimen plants, that repeated like a rhythm, and then varying the rate of scatter, adn then using the scatter and intermingle approach to produce a whole level of transformation effects within plantings. As a consequence he is taking planting design to new heights of sophistication. His drawings are artworks in themselves and essential in order to understand what is actually going on beneath the richness of his plantings. The analogies to music seem so obvious, I find myself grasping for words to describe what Piet does, and always seem to fall back on musical ones. An analogy that Nori Pope really articulated. It is high time we found a common language to describe how we distribute plants across space. And started thinking a bit more analytically about what we do. * If anyone wants to see this (auf Deutsch) please ask. 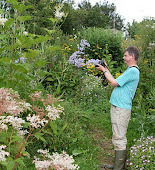 Excellent observation here Noel laddie..I agree entirely..the 'art' of planting is rarely 'fleshed' out and remains the great mystery to most garden makers..your comment about Oudolf's methods and your 'musical' connection reminds me much of my own approach to plant usage "But then he started varying it with scatterings of specimen plants, that repeated like a rhythm, and then varying the rate of scatter, adn then using the scatter and intermingle approach to produce a whole level of transformation effects within plantings." Repetition of course is a time honoured 'thread' for much 'art' in all its forms..be it heavy handed or otherwise..BUT like all balancing 'acts' its about the careful use of mass and void..its either right or bloody wrong!